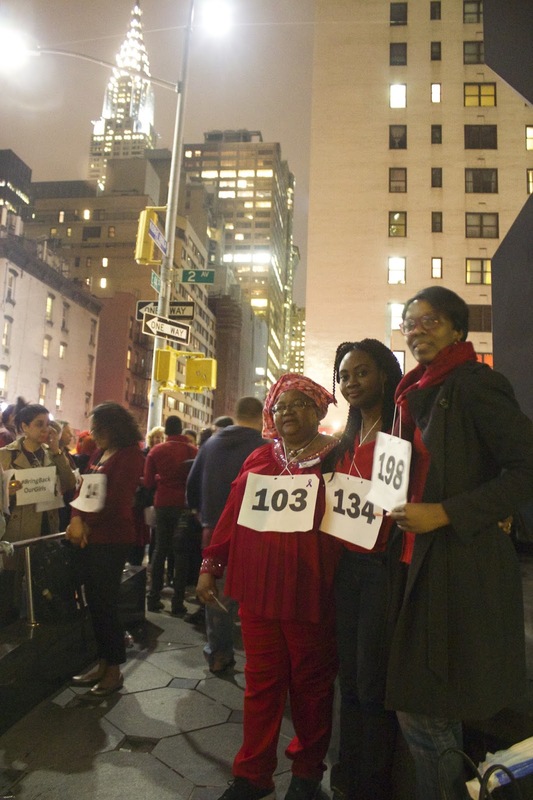 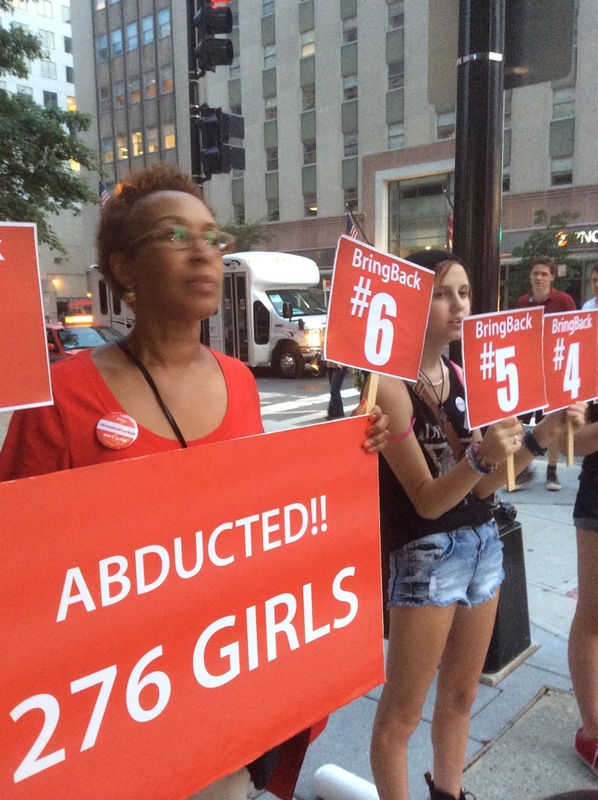 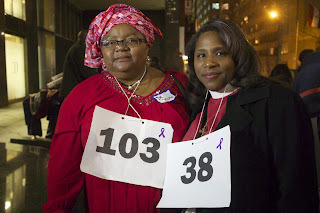 It's 1 year, six months since our 276 #ChibokGirls were abducted. 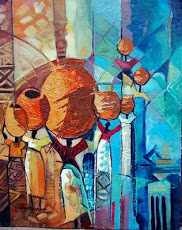 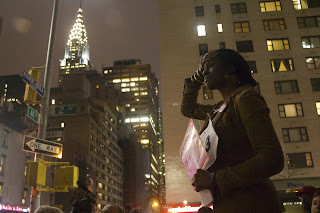 Many other Nigerian citizens were abducted before and after them. 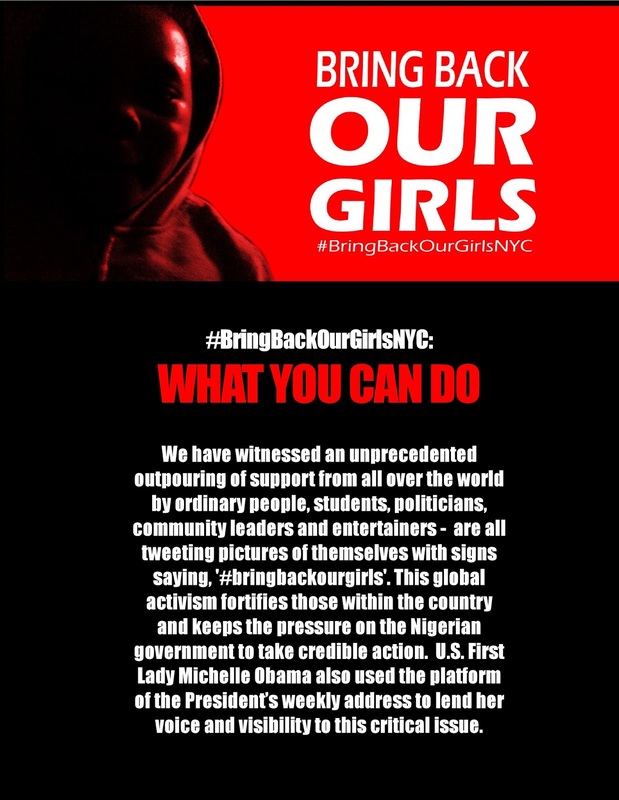 57 of our girls escaped. 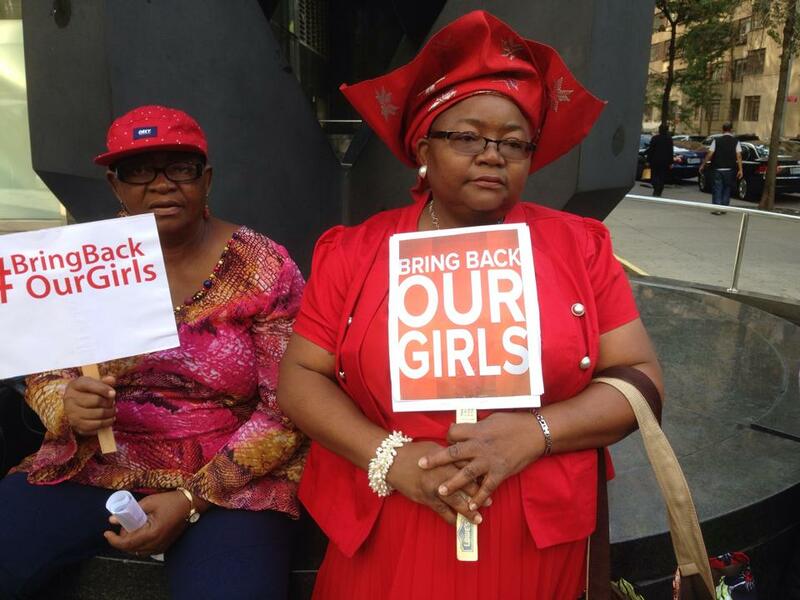 Several hundred women, girls and children were rescued. 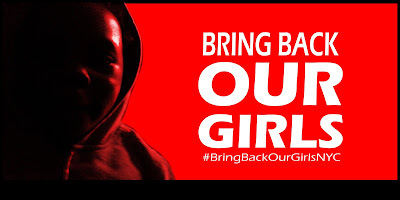 219 of our #ChibokGirls remain in captivity. 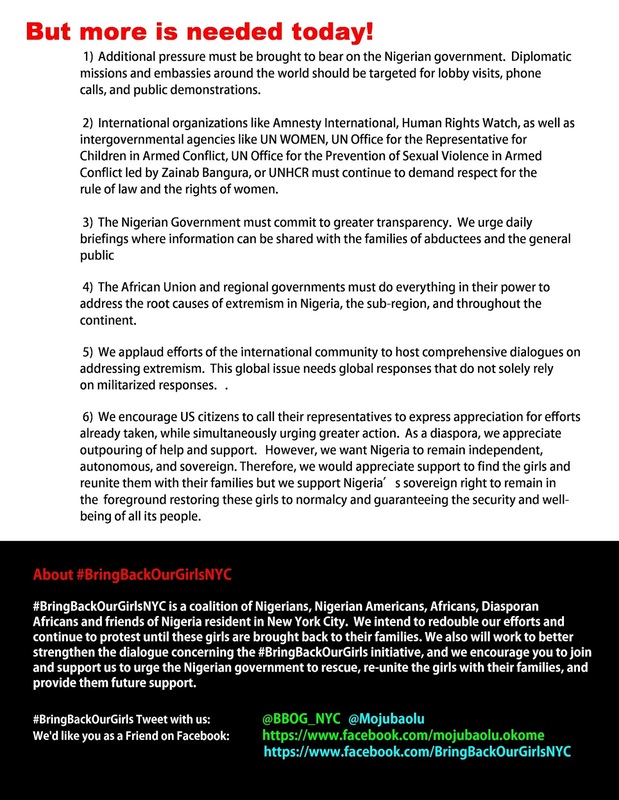 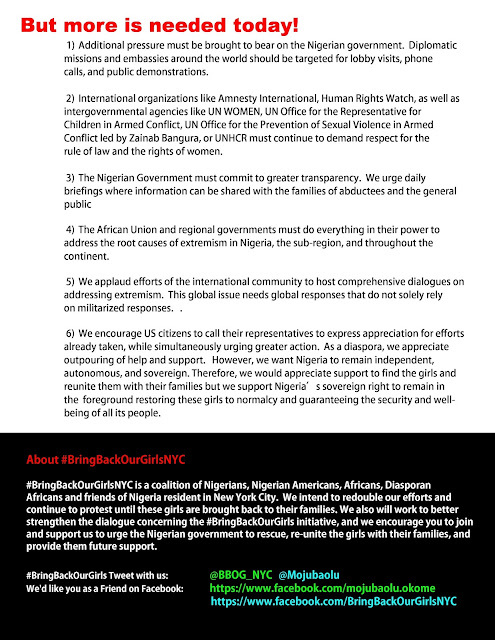 In the year and a half, #BringBackOurGirlsNYC had an international conference, information sessions, and many rallies for our girls. Most were in NYC. 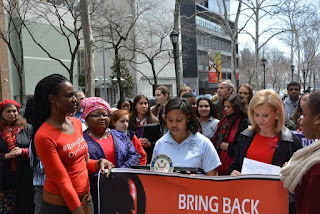 We also joined members of the movement in Washington, DC, and in Nigeria. Some of the pictures are below. 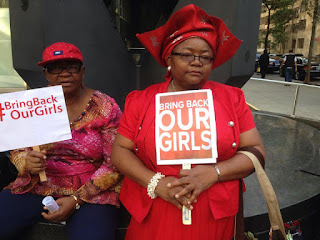 On December 4, 2014 we had the conference, #BringBackOurGirls: Boko Haram and Human Security in West Africa, sponsored by The Advanced Research Collaborative and IRADAC at The Graduate Center, CUNY. Oby Ezekwesili was the keynote speaker. 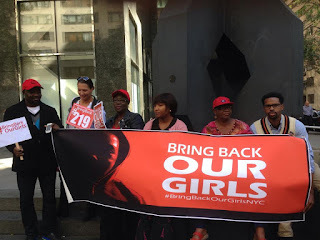 All photos above were at Nigeria House at the 6th month mark of our girls' captivity. 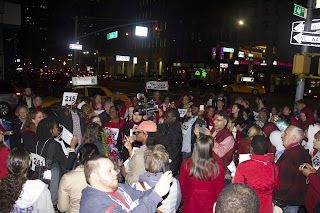 As you see, Alicia Keys joined us. Right above was at Dag Hammarskjold Park at the UN at the one year mark of our girls' captivity, when Congresswoman Carolyn B. Maloney sponsored a rally that included NYC schoolgirls and the UN NGO community, as well as other elected reps. 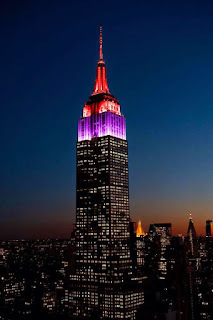 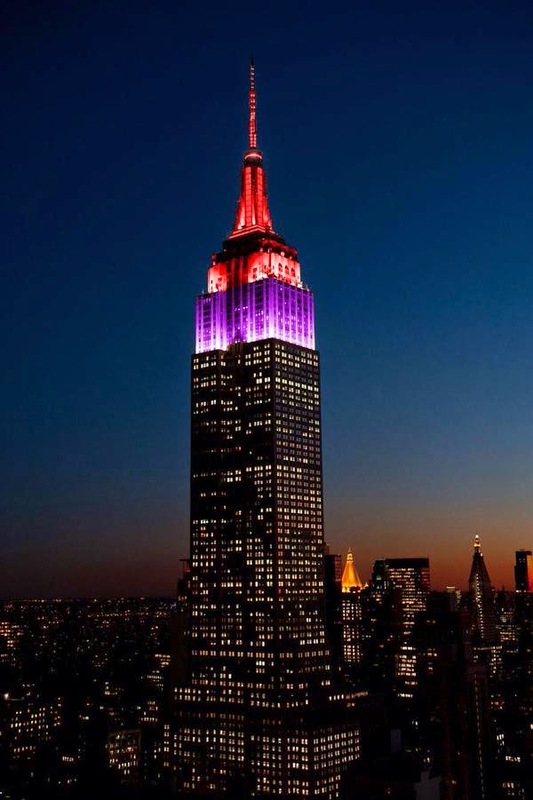 Thanks to Congresswoman Carolyn B. Maloney for partnering with us to light up Empire State Building for our girls.